Google’s Pixel 3 and Pixel 3 XL broke a record earlier this year. The Pixel 3 XL is the most widely leaked device in tech history. In fact, so many details for the smartphone have surfaced that several folks now believe that the leaks are a conspiracy hatched by Google. While this is unlikely true, more details for the Google Pixel 3 lineup have now surfaced. Take a look below for more. Google’s Pixel 3 and Pixel 3 XL have made a lot of rounds on the internet. Not many details for the smartphone are unclear at this point. The larger Pixel 3 XL is confirmed to feature a large notch that is a major eyesore. Google will also stick to single rear cameras for the smartphones. Additionally, both the Pixel 3 and Pixel 3 XL will feature dual front cameras. These will bring depth-of-field and other effects for selfies and images snapped with the sensors. Today’s leak for the Pixel 3 lineup reveals a subtle addition from Google. 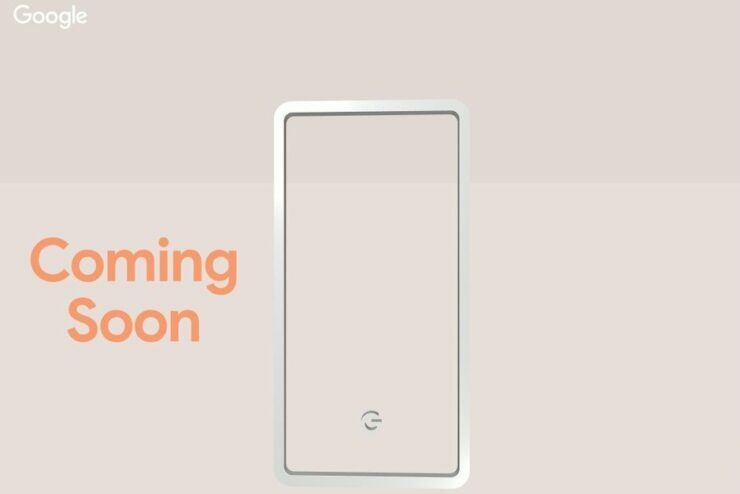 The company had posted a teaser for the devices on a website in Japan. Digging deeper it now seems that the Pixel 3 and Pixel 3 XL will feature a fourth color option. The fourth color looks like a pinkish hue of beige. We’d say that it was pink, but it isn’t. The Pixel 3 smartphones were expected to launch in three color options prior to today’s leak. Out of these, the White Pixel 3 XL leaked extensively, and a Black variant was also photographed. Today’s leak adds a bit of intrigue. If you’ll take a close look at the image above you’ll see that Blue, Green, Pink and Black are listed as colors for the Pixel 3 and Pixel 3 XL. Where does this leave White? Your guess is as good as ours. Google’s in an awkward position with the upcoming Pixel 3 and Pixel 3 XL. The lineup will feature 10nm processors at a time when Apple’s 7nm A12 is out. This fact prevents them from featuring bleeding edge technology. Due to this, Google’s pricing decisions for the smartphones will play a huge factor in their market performance. Thoughts? Let us know what you think in the comments section below and stay tuned. We’ll keep you updated on the latest.